In Computer Creation & Coding with Kano students will build their own pocket size computer with the Kano (Raspberry Pi) computer kit. After the computer is created, students will go through coding exercises and build projects within their computer. 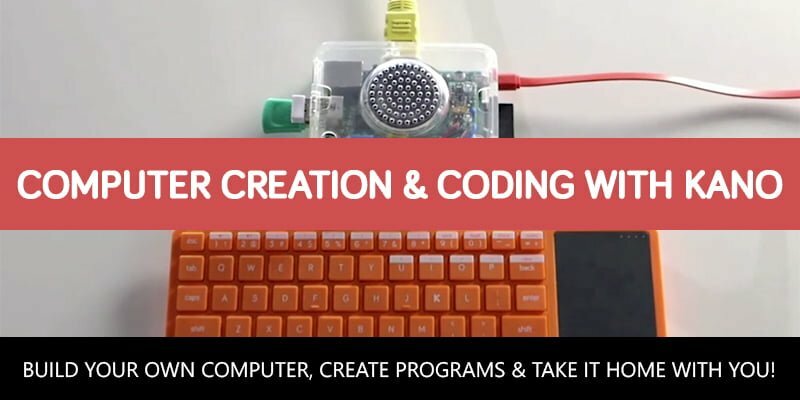 At the end of the week, students will take home their computer to continue learning and building new things with their Kano computer kit. There will be a basic version for ages 8 -12 and an advanced version for ages 12 – 16. Students aged 12-16 years of age. An interest to learn more in the field of Coding! Kano is a DIY "computer kit designed to help people of all ages assemble a computer from scratch, and learn basic coding skills". A month-long Kickstarter campaign initiated in November 2013 raised over $1.5 million and helped launch the mass production of the device. Create and Play Camps © 2018. All Rights Reserved.